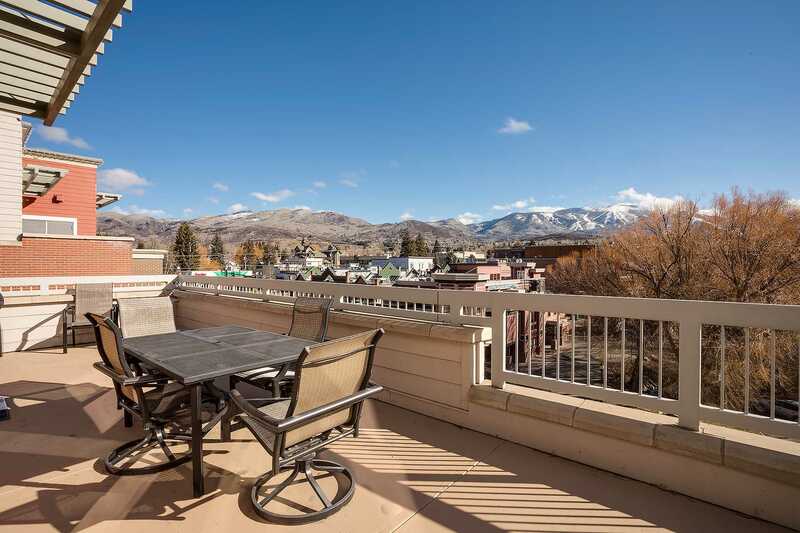 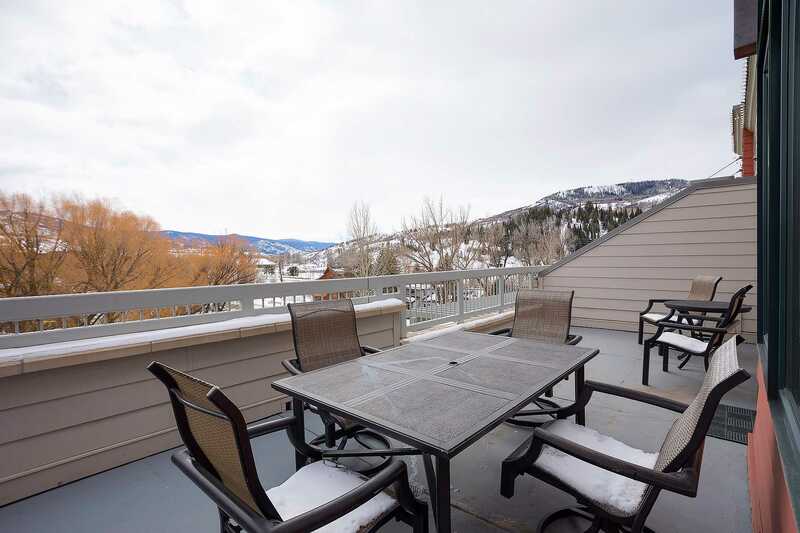 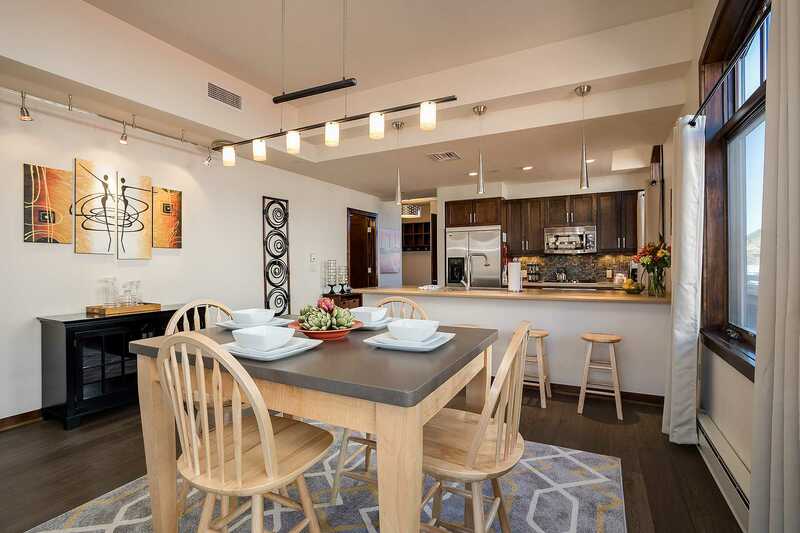 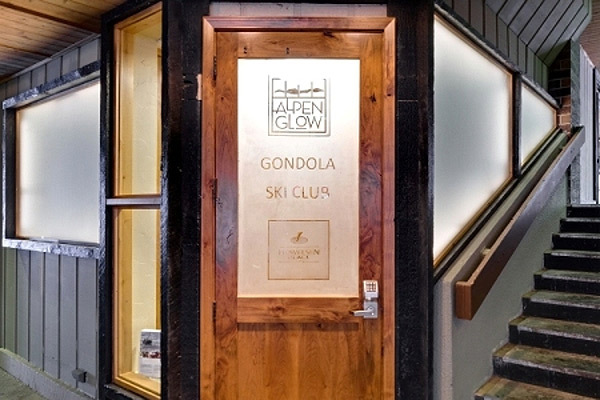 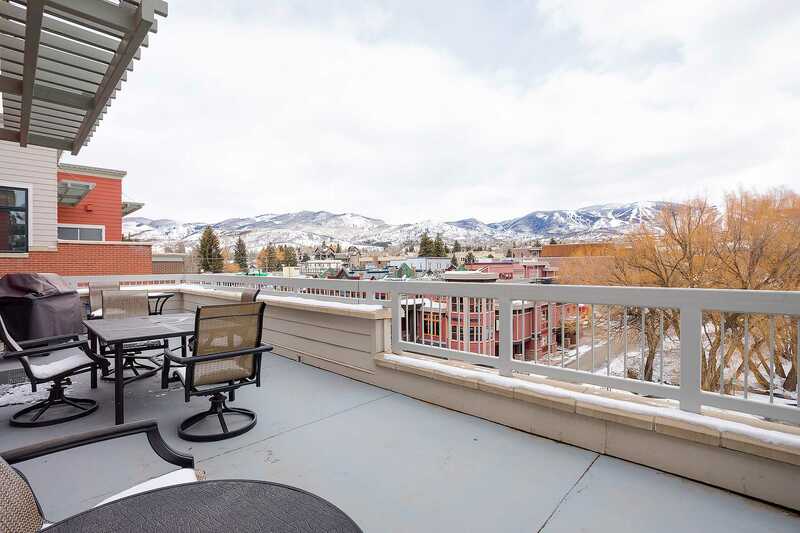 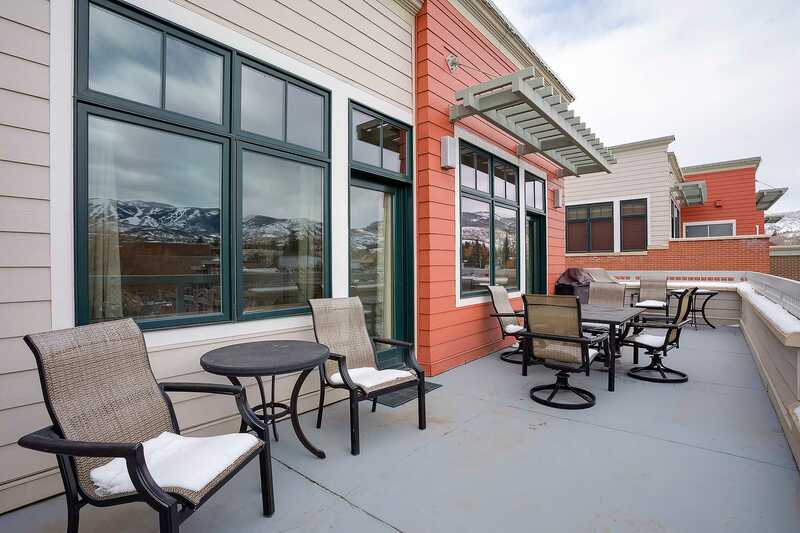 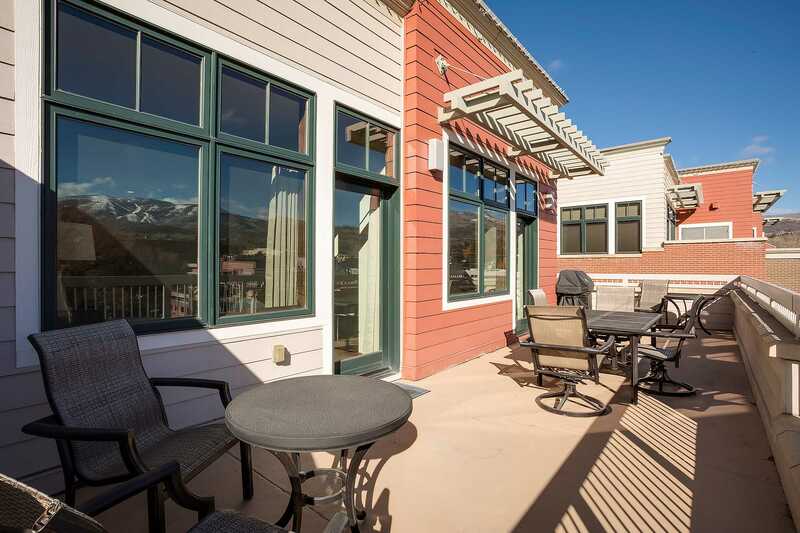 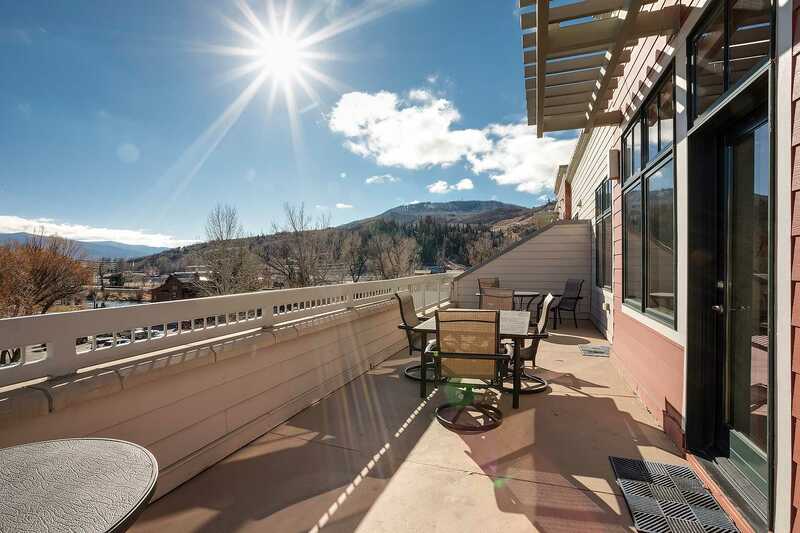 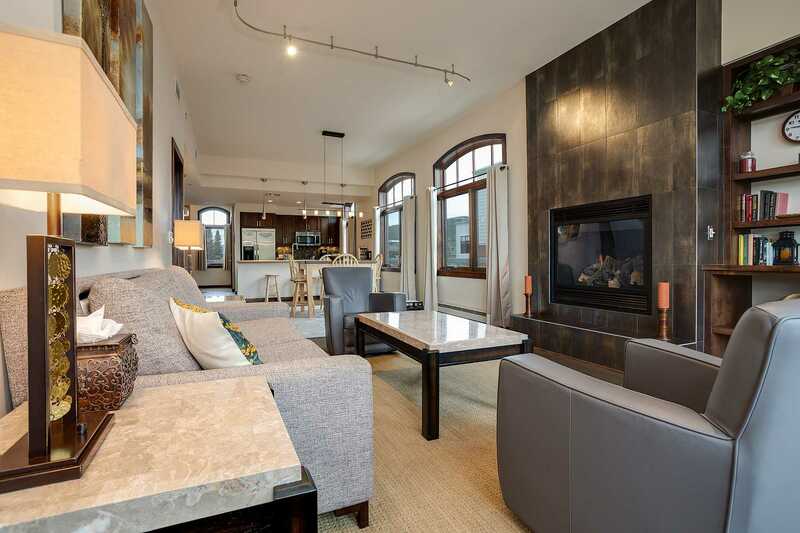 Howelsen Place 401 is a Penthouse residence with large deck and brilliant views of the ski area! 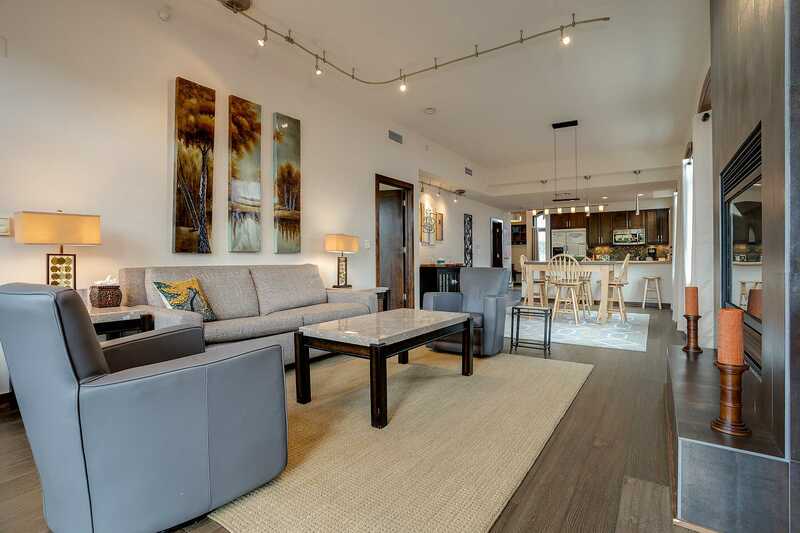 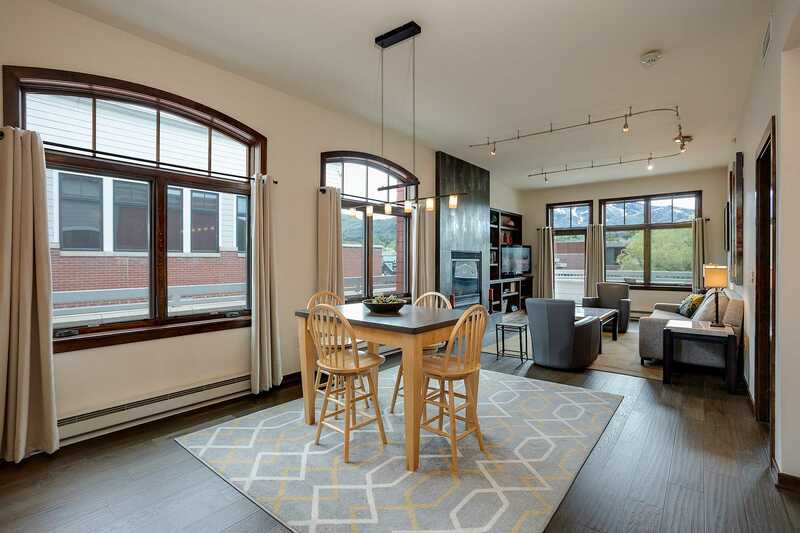 Enjoying 1,277 sqft of living space, this urban style loft residence features large windows, beautiful finishes, and modern decor. 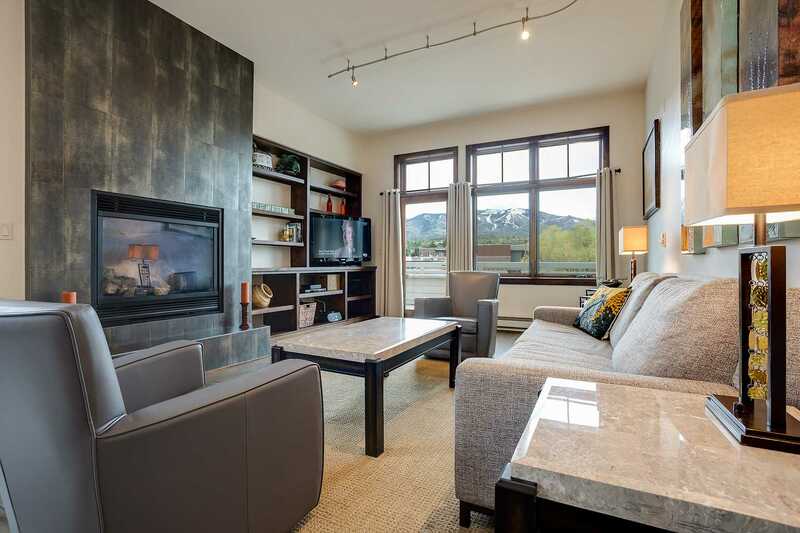 The living space has Flat Screen TV with surround sound, gas fireplace, wood floors accented by gorgeous rugs, and modern comfortable furniture. 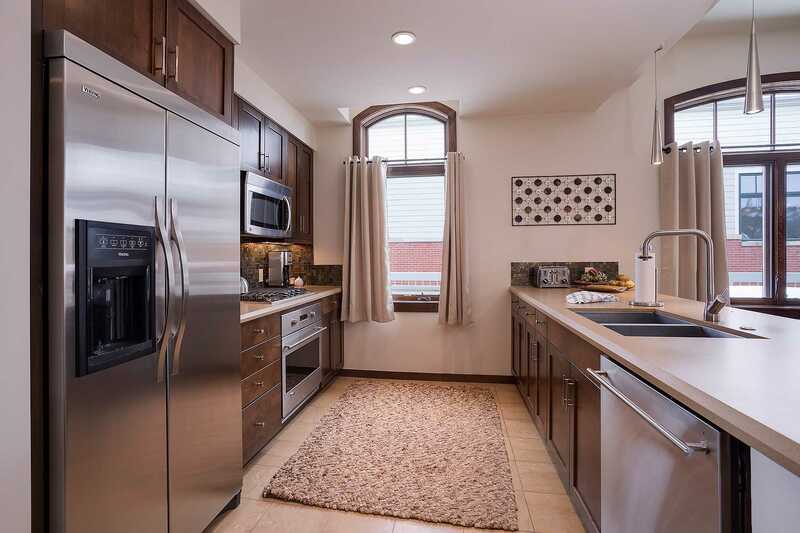 The kitchen is well equipped for even the most discerning chef, with quality stainless steel appliances and sleek quartz countertops. 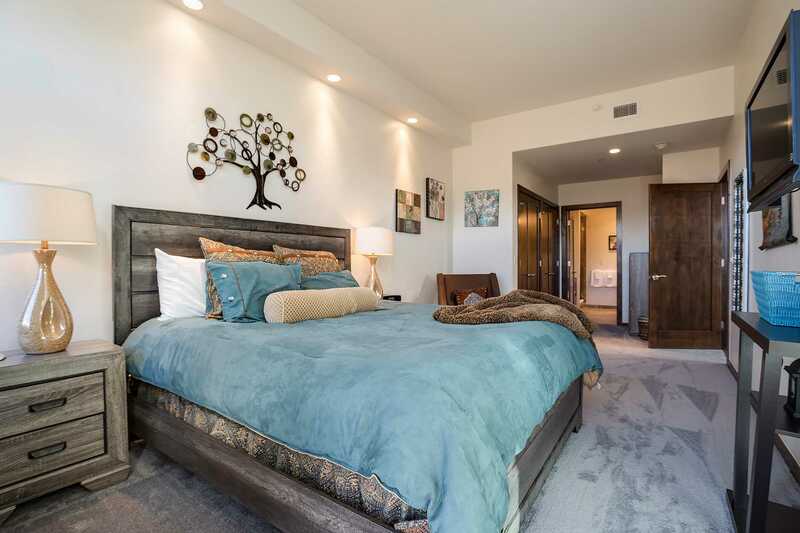 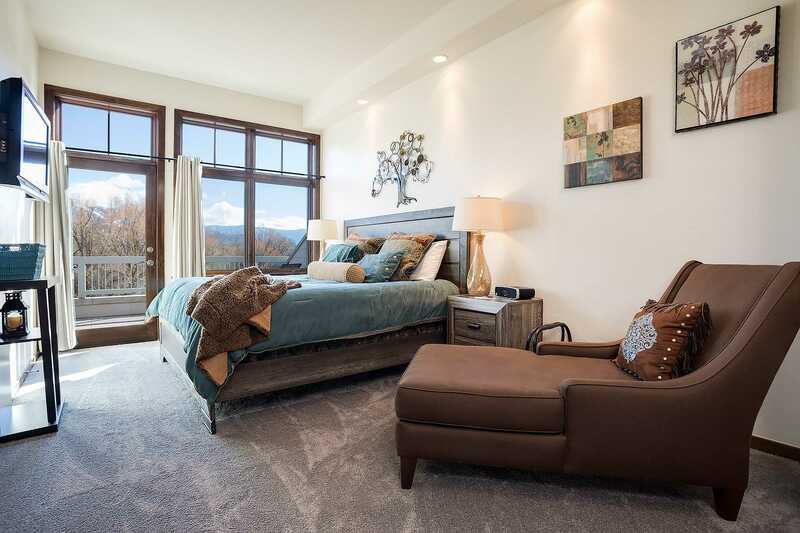 The Master bedroom features a Queen bed, views of the ski resort, and access to the private deck. 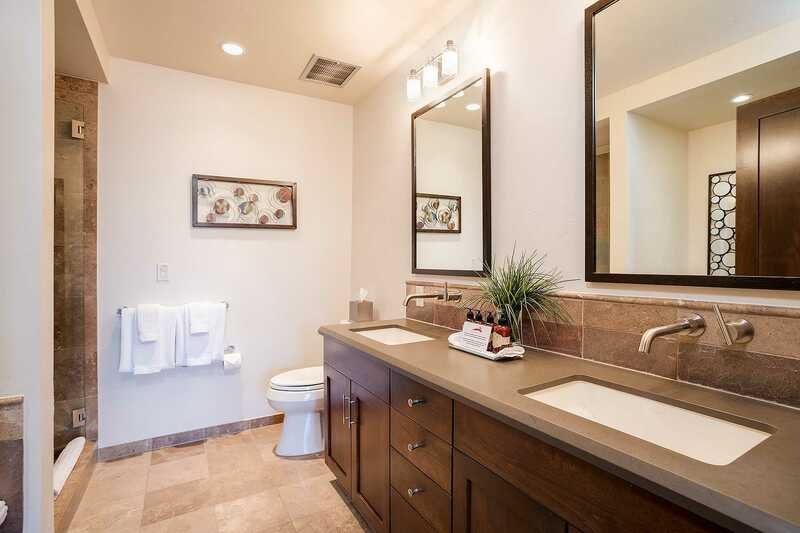 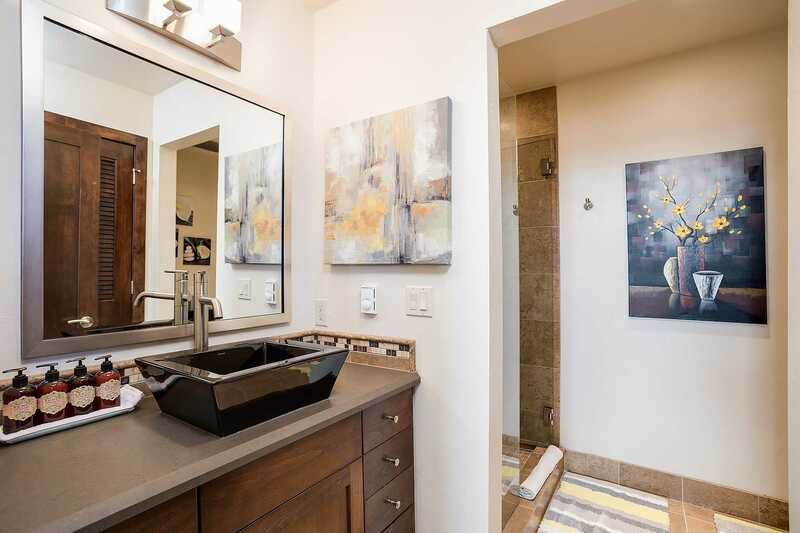 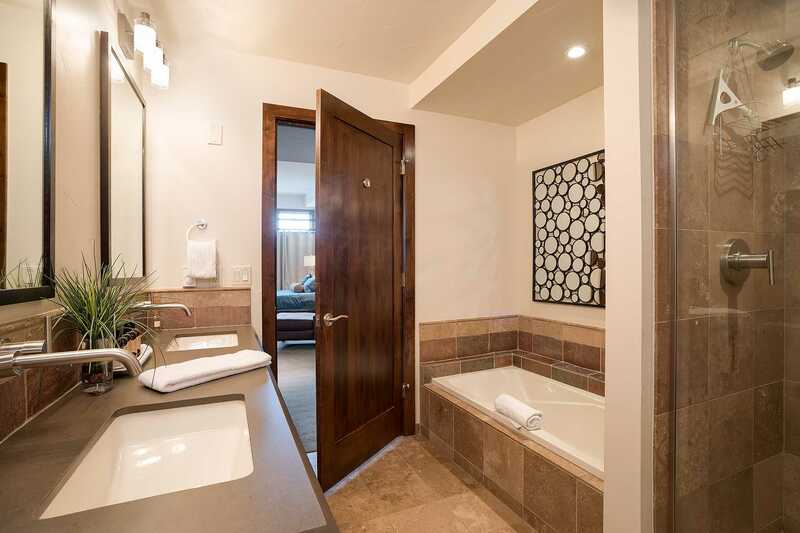 The indulgent master bathroom with natural stone tile has a double vanity, walk-in shower and soaker tub. 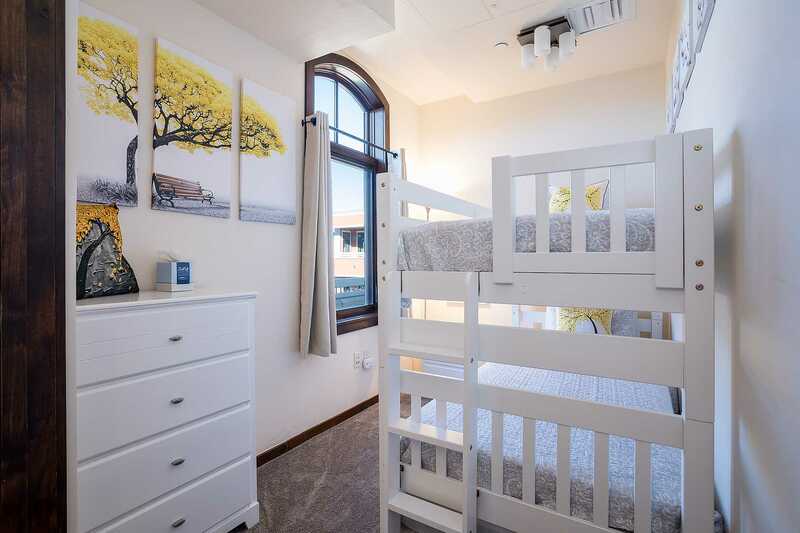 The second bedroom has a twin over twin bunk bed, with a second bathroom located just off the hallway. 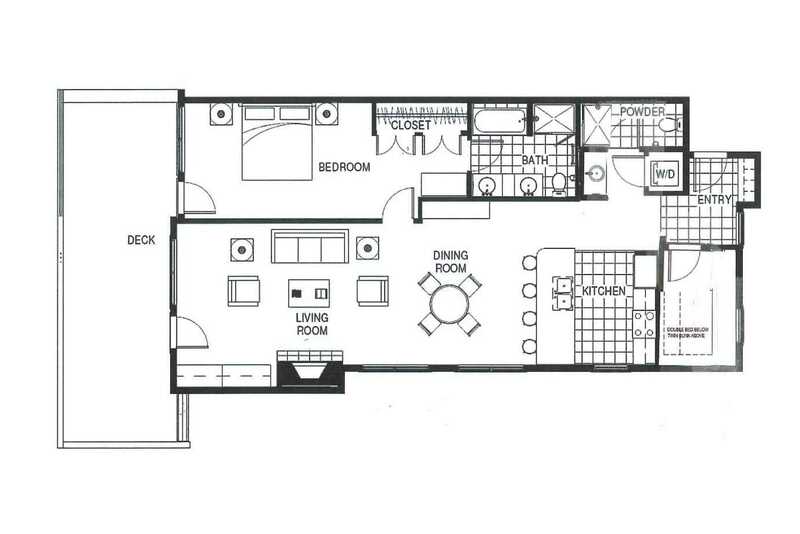 There is also a washer and dryer in the residence. 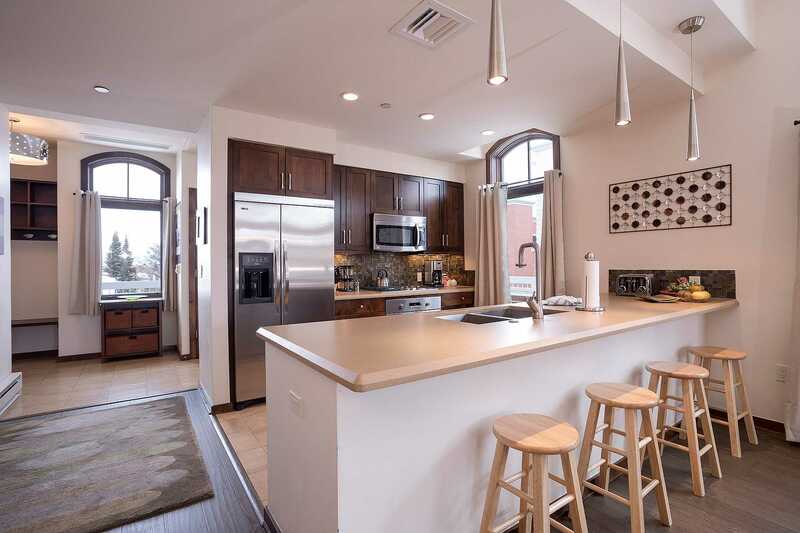 Calculate rates, confirm dates and book H401A - Howelsen Place online.